ALVO Medical installs operating rooms and manufactures medical equipment for hospitals around the world, including operating tables, patient transfer systems, OR integration solutions, modular wall panels and modular ceilings, surgical doors and windows, art panels, surgical scrubs, medical trolleys and furniture.Our values concentrate on human life. 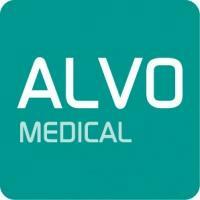 Each and every product manufactured by ALVO reflects the focus on reaching better clinical outcomes. ALVO modular, hygienic and integrated operating rooms are safe and friendly to their users, patients and natural environment. ALVO, being a Polish family-owned company, managed by the same Board of Directors from the Company’s foundation in year 1993, is one of the most attractive employers in the Wielkopolska Region.